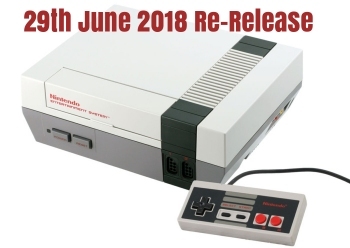 Nintendo have now confirmed via Twitter that the NES Classic Edition will make its European comeback on Friday 29th June 2018 and "expected to be available throughout the year". We have known for around a year that a summer 2018 release was imminent but it's only now we have an exact date. Pre-Orders are yet to commence on the official Nintendo UK website or other UK retailers, however you can be sure that Stock Informer will be the first update you when this situation changes. Initial demand is expected to be high again, we therefore highly recommend pre-ordering when available to give yourself the best chance of bagging a console early on. You can track the latest pre-orders and register for alerts on our NES Classic Mini stock checking webpage. This iconic 80's classic console was first re-released as a retro gaming console in November 2016 with extremely limited stock available. However, demand was very high which left many disappointed gamers who just couldn't get their hands on a NES Classic. Production of the existing widely available SNES Classic is expected to continue into early 2018.